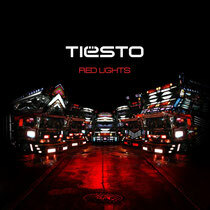 Tiësto has just released ‘Red Lights’, the first single to be taken from his forthcoming album, which is set for release in 2014. The single received its world premiere on Pete Tong’s BBC Radio 1 show on Friday November 29and following this, it received plays on more than 70 stations in the US, assuring this will be his biggest airplay track ever. Providing a first taste of what fans can expect from the aforementioned album, ‘Red Lights’ is a blend of dance production and melodic songwriting. Fusing acoustic and electronic instrumentation, the winding guitar riffs and vocal hooks counterpoint the driving drum line and synth progressions. The announcement of the new single rounds off another big year, juggling a constant tour schedule with a slew of new releases on his own Musical Freedom label, as well as volume 3 of his ‘Club Life’ album series and a host of remixes. These achievements were recognized during this year’s Amsterdam Dance Event when he was awarded the inaugural “Top 100 DJs Legend Award” in the 20th year of DJ Mag’s poll. Have a listen below.